MEXICO CITY — A Mexican court has allowed two leaders of a radical teachers union to leave prison on a form of bail following weeks of protests by supporters over their arrests and recent education reforms that include mandatory teacher evaluations, the Associated Press reported. Attorney General Arely Gomez said Friday Aug. 12 the court did not absolve the men but rather freed them while legal proceedings continue. She denied that their release was politically motivated. Protest blockades by teachers and their supporters have blocked roads and rail lines for weeks, mainly in the states of Chiapas, Oaxaca and Michoacan, causing millions of dollars in losses for business and commerce. Prosecutors arrested the two leaders in June on a variety of charges, including accusations that some leaders had set up an illegal financial network to fund protests and line their own pockets. 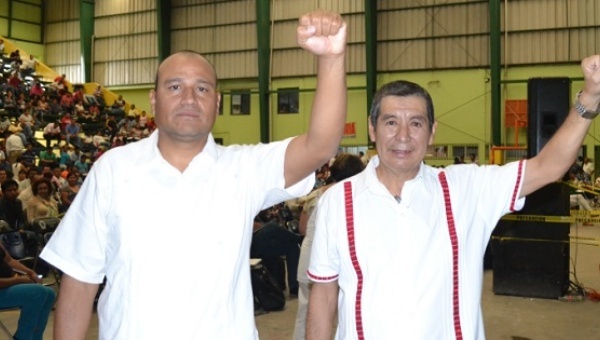 The union had, at the time, effectively controlled the payroll of teachers in Oaxaca state. Union officials allegedly demanded a 3.5 percent cut of unionized teachers’ purchases at local businesses and took that out of members’ paychecks.